US, 2004, 101 minutes, Colour. Sanaa Lathan, Raoul Bova, Lance Henricksen, Ewan Bremner, Colin Salmon, Tommy Flanagan. To be fair, I was ready for a dose of CGI combat effects. The previous preview I had seen was Princess Diaries 2, chockfull of sweetness and light. 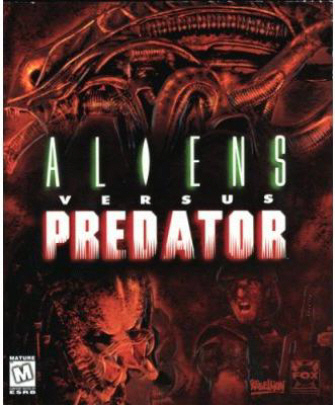 Neither Alien nor Predator in their previous screen incarnations were sweet and they did not flourish in the light. So, this horror-action concoction did not seem too bad as this kind of thing goes. Some of the plot was pinched from The X Files Movie – with effects thrown in from director Anderson’s previous exercise in cinema horror, Resident Evil (plus his Event Horizon and Moral Kombat). Most of the characters were straight out of central casting: tough neo-Ripley heroine, nerdish academic expert, ambitious businessman, no-nonsense henchman and a group of bodyguards who were disposable once the aliens and the predator went into action. The Antarctic has become a cinema breeding ground for alien landings and alien wars. Who knows what is buried deep under the ice-cap? This time it is a huge construction, complete with sacrificial chambers. But, as the posters say, this is not our war. Alien and Predator are using the humans for bait. Again, as the posters say, ‘whoever wins, we lose’. If we could have Jason vs Freddy some years ago, there is no reason why other popular science fantasy villains can not eyeball each other, except that the aliens (like Jason) are really one-note creatures, killing machines. Freddy Krueger has some edge (knife-edge) and Predator has some decency in helping out the neo-Ripley. Well, maybe that’s giving away the ending, but it’s only dedicated fans who will venture in to see this mortal kombat. 1.Popular science fantasy? The genres, aliens and predators, the conventions? How well used? Imaginatively or not? 2.The sets, the Antarctic, the underground pyramid and its many rooms? The mechanics and its being a time-set trap? The special effects, especially for aliens and predators and for the battles? Musical score? 3.The contemporary setting, October 2004? The credibility of the plot, the aliens, the pyramid, the Antarctic, the battles between aliens and predators, human victims? 4.The world of satellite tracking, supplying of information, the detection of the pyramid under the Antarctic ice? Entrepreneurs, profit and business? Building up the team, the pressure on the individuals? The marshalling of the group, sailing to the Antarctic? 5.The situation, the puzzle, the pyramid, the sacrificial chambers, the building and the mechanics, the trap? 6.The aliens’ tradition, the monsters, the young, devouring the humans? 7.The predator tradition, the warriors, the hunters, the aliens as prey? Yet the aliens as hunters preying on humans? 8.Alexa, climbing the mountains, the information, the helicopter? The plan, her hesitation? Cautions about logistics? The meeting with Weyland? Clashes with Stafford? With Sebastian, collaboration, the other members of the team, her controlling the efforts, the timing, going to the surface? As guide, the puzzle, using her wits? Becoming a warrior? The respect of the predator, her survival? 9.Weyland, dying, strong-willed, the expedition, solving of the mystery, his need for air support, his dying? 11.Sebastian as hero, the hieroglyphics, his work in Mexico, his reading the hieroglyphics, giving the information, heroics – and then dying? 12.Miller, the Scotsman, his family, the photo? His diagnoses? Being trapped, his death, enveloped by the alien? 13.The group, the individuals, warriors, trapped, terrified? Their work in security, drilling? Their being expendable by the plot? 14.The build-up to the climax, the timing of the walls changing, Alexa and the predator, the battle, her surviving? 15.The background of the expedition, the ice breaker in Antarctica, the need for timing? Scar as the predator warrior, his death, burial – and the irony of the alien being conceived and bursting from him? 16.Audience enjoyment of the genre, expectations, characters, dialogue etc?